On Wednesday October 19 2016, CBS Kilkenny hosted its annual Jim Langton Huriling tournament. Eight teams contested the blitz: CBS Midleton, CBS Naas, CBS Nenagh, CBS Thurles, CBS Charleville, Callan CBS and two teams from CBS Kilkenny. There were two competitive groups with CBS Kilkenny and CBS Thurles emerging group winners and CBS Kilkenny and CBS Midleton contesting the Shield Final. The Langton cup final was a thrilling contest with CBS Thurles victorious by one point: 1-7 to 1-6. The Shield Final was won by a strong CBS Midleton team. There were good performances throughout the day from both CSB Kilkenny teams, with special mention of Conor Dermody, Luke Owens, Niall Rowe, Zach Hammond, Gearóid Dunne, Sean Maher, Billy Drennan and Timmy Clifford who all excelled! 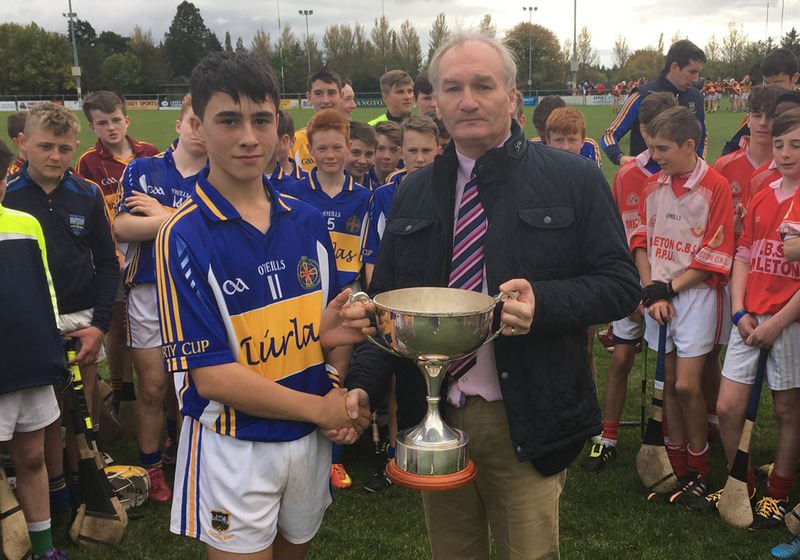 The 2016 - 2017 tournament was a great success with excellent hurling on show. Special thanks to: Dicksboro GAA Club and groundsman for the use of the pitch, to the catering committee headed up by Deirdre Prendeville, to the organising committee consisting of Tom Clarke, PJ McCormack, Ivan Doherty, Paul O'Donoghue, Alan Healy, Padraig Ryan, James O'Driscoll and Eoghan Ryan and to referees John McCormack and Julian O'Dwyer.